Decay, teeth grinding, heavy fillings, all of these and more may lead to teeth cracking. 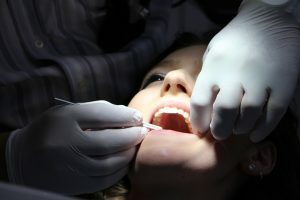 Contrary to what you may think, cracked teeth may not always result in pain, which reinforces the importance of getting regular check-ups from a holistic dentist. Let’s explore this a bit more. A cracked tooth is, as its name implies, a tooth that is broken, has a fracture or has begun to split. It is possible for the tooth to display no symptoms, which means most people will never know they have a cracked tooth unless they visit a dentist. Then again, the tooth may cause pain when exposed to cold temperatures or when chewing. Cracks may extend deep into the tooth, potentially leading to nerve damage or splitting. There are a couple of reasons why a tooth may crack. The aforementioned grinding and decay, chewing or biting hard items such as ice or meat bones, gum disease, sudden changes in mouth temperature, all of these may lead to a tooth cracking. The cracks can also show up in different ways. In addition to cracks, there may be “craze lines”, which are tiny cracks that affect the tooth’s exterior enamel. These cracks affect adult teeth and generally do not result in pain. The earlier a cracked tooth is detected, the better the odds are that it can be saved. Cracked teeth that are left untreated may result in the death of the nerve, an abscess, or worse. A simple way to avoid the foods of a cracked tooth is to avoid biting on hard foods. If you grind your teeth, consider wearing a mouth guard.